Maggie Wheeler is an American-born film/television actress and voice-over artist. She is best known for her role as series regular Janice on the NBC hit sitcom Friends. She also featured on several other television series particularly in the comedy genre and they include the 90s sitcom Everybody Loves Raymond and the drama series Californication. Wheeler also has a few film credits to her name most notable of which is the 1989 romantic comedy-drama New Year’s Day and the 1998 hit comedy film The Parent Trap. Maggie Wheeler was born Margaret Emily Jakobson on the 7th day of August 1961 in Manhattan, New York. She grew up in a secular Jewish family where her mother Barbara earned her living as a writer and her father John Jakobson was a renowned stockbroker. He began his illustrious career on Wall Street at that time and was one of the youngest members of the New York Stock Exchange. Wheeler marked her professional acting debut with a minor role in the comedy film Soup for One (1982). This was followed by roles in other films like Portfolio (1983), Someone to Love (1987) and Mortal Sins (1989). She had a lead role in the comedy film New Year’s Day (1989), featured in the short film Sexual Healing (1993) and the hit comedy film The Parent Trap (1998). Other film credits of the 2000s include Barbie of Swan Lake (2003), Dr. Dolittle 3 (2006), Waking Dreams (2007) and The 3 Tails: A Mermaid Adventure (2015). Maggie Wheeler’s first television appearance was on the NBC sketch comedy show The New Show (1984). Her next major act was a voice role on the animated series SilverHawks (1986). Afterwards, she guest-starred on several TV shows all through the early 1990s. The talented actress eventually got her career-defining opportunity in the year 1994 when she was cast as Janice Litman-Goralnik (née Hosenstein) on the sitcom Friends. Wheeler gave an impeccable portrayal of the character throughout the show’s 10-year run from 1994 to 2004. Wheeler was also on the main cast of another 90s sitcom Ellen (1994-96) starring as Anita Warrell and she also had a recurring role on Everybody Loves Raymond (1996-2004). The actress recorded numerous guest appearances on different television series in the course of her long-running career including in Kim Possible (2004), ER (2006), How I Met Your Mother (2007), Without a Trace (2009), The Closer (2011), Hot in Cleveland (2014) and Shameless (2018). She also had notable voice roles on several animated series most notable of which is the animated sitcom Archer (2009-2017). Back in 2013, she portrayed the recurring character Ophelia Robbins on the comedy series Californication. There is certainly no slowing down for this television actress as she remains an evergreen comedy star. 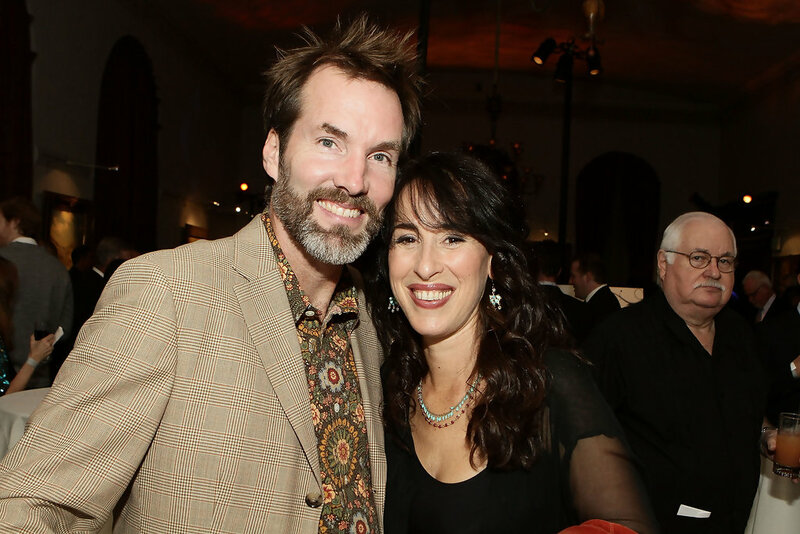 Maggie Wheeler’s father John Jakobson left an estate valued at an astonishing $100 million at the time of his death. While it remains uncertain what portion of this wealth was received by the actress, we are in the know that she is doing very for herself. Through her showbiz career and other bankable ventures, the Hollywood star has amassed a net worth valued at $2 million. In addition to her flourishing show biz career, Maggie Wheeler is also known to enjoy a blissful marital union with her husband of several decades Daniel Borden Wheeler. The duo tied the knot on October 20, 1990, and they have remained inseparable ever since. Mr and Mrs Wheeler also have 2 children together. They welcomed their first child in 1994, a daughter named Juno Wheeler and their second child was born in 1999, a daughter named Gemma Wheeler. Interestingly, Gemma Wheeler has towed a career path similar to that of her famous mother. She has been acting since she was 6 years old and she continued through high school and middle school. She also enrolled to study screen acting and theatre at Chapman University. On her part, Maggie Wheeler’s older daughter Juno is not so enthusiastic about pursuing an acting career. See Also: Sandra Bullock’s Relationships Through The Years, Who Is She Dating Now? Maggie Wheeler stands at a height of 5 feet 4 inches (163 cm). Now in her 50s, the Friends star boasts of an enviable physique as she maintains a body weight of 54 kg (119 lb). The ageless actress has also maintained her long brown-coloured hair which has become one of her trademark features over the years.